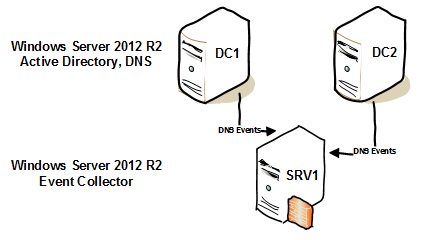 Home » Posts Tagged "dns"
Tomasz Jagiello strikes back as guest writer 🙂 This time on Windows Event Collector configuration for DNS Event Log forwarding. Very good how-to with detailed configuration. Design where via Group Policy a Domain Controller group will be configured to forward DNS Server events to a single collector.